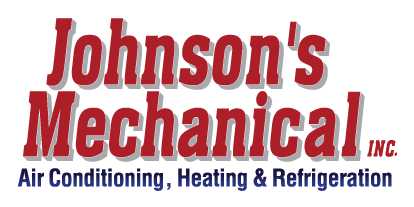 Duct Work, Lakeland, FL | Johnson's Mechanical Inc. Duct Work, Lakeland, FL | Johnson's Mechanical Inc.
We can keep your Lakeland home cleaner with our duct work services. As you go about your daily household chores, you may wonder where all of the dust is coming from and if there is any good way to get rid of it. While we can’t provide you with a magical creature that will eat all of the dust bunnies, we can assist you in reducing the amount of dust in your home. If you are wondering how this is possible, let us enlighten you—the way we help to keep your home cleaner is through our duct work services. Your ducts are an important part of your home’s ventilation system. When your ducts are cracked or damaged, they allow more pollutants to enter your home. They also cause your home to be less efficient in its energy usage. One way to catch duct damage early on is by watching for the signs of damaged ducts. For example, if you notice that the air smells musty, that it isn’t as cool or as warm as you would expect it to be, or you have higher energy bills, you may have damaged ducts or seals that are no longer intact. Your ducts may become damaged due to age, debris, or pests that have somehow found their way into your ducts. If you suspect that your ducts may be damaged or blocked, rather than reaching for the duct tape, contact us at Johnson’s Mechanical, Inc. for duct work services in Lakeland, Florida. When you call on us for duct work services, you can rest assured that we will do our best to repair your ducts quickly and effectively, in order to ensure your satisfaction. Not only are our technicians able to perform fast, reliable repairs, but we are also certified, licensed and insured, which means you will receive quality and professional service. We’ve been offering this quality and professional service since 1982, and since we have over 30 years in the business, you can be confident in our ability to take care of your duct work promptly and correctly, thus leaving you with a more efficient ventilation system, which will reduce your energy bills and leave you with a cleaner, healthier home. If your duct work needs work, whether it be maintenance or repair, contact us. We promise to provide you with the best in customer service—our honesty and integrity is unmatched. Experience the difference that choosing our company for your ventilation needs will make. We look forward to serving you!